As they tend to say on Idols shortly before eviscerating some poor aspiring singer’s performance, this comes from a place of love. This book is a celebration of South Africa’s iconic people, places, situations, songs, character traits and consumer products … every part of our culture that makes us happy and proud to be South Africans. Add a twist of humour to South African nostalgia with Hagen Engler’s latest offering. 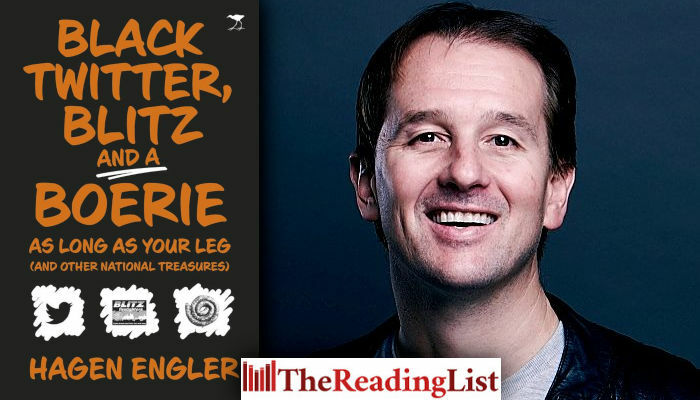 Black Twitter, Blitz and a Boerie as Long as Your Leg is a lighthearted, humorous read of multiple entries that can be dipped into at will. Optimistic, topical and definitely tongue-in-cheek, this book could easily be that last-minute gift that you pick up at the airport before you head back to the parental home for the holidays. Not too politically edgy – so as not to offend any sensitive elephants in the room – it draws on the great many things that South Africans do have in common, and that will give us all a moment to agree on something, for a change. Proof of address. Not more than three months old!